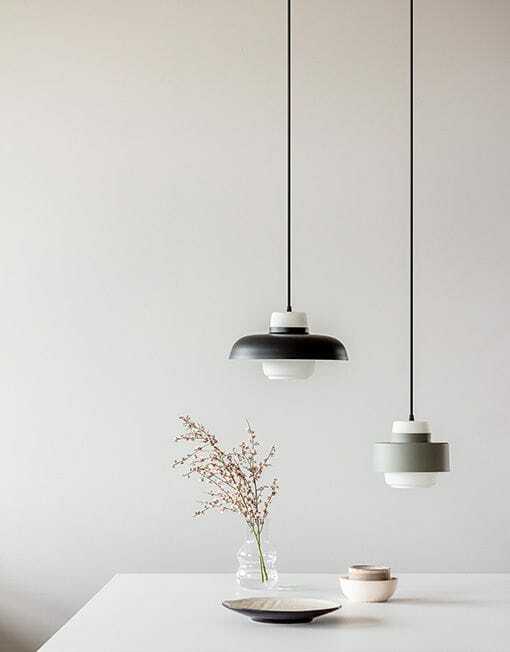 The Lento lamp family includes three suspension lamps that all have the same kind of blown glass part and an aluminium shade. 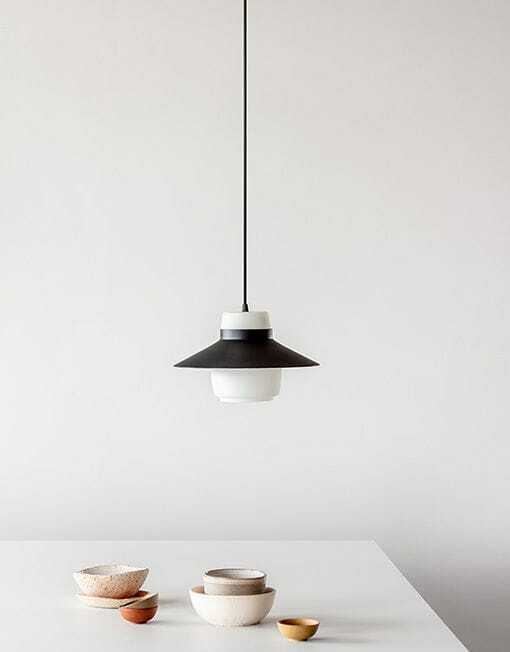 The three different suspension lamps of the family are created by using different shades. The Lento suspension lamp creates a pleasant combination of directed and dispersed light around the room. 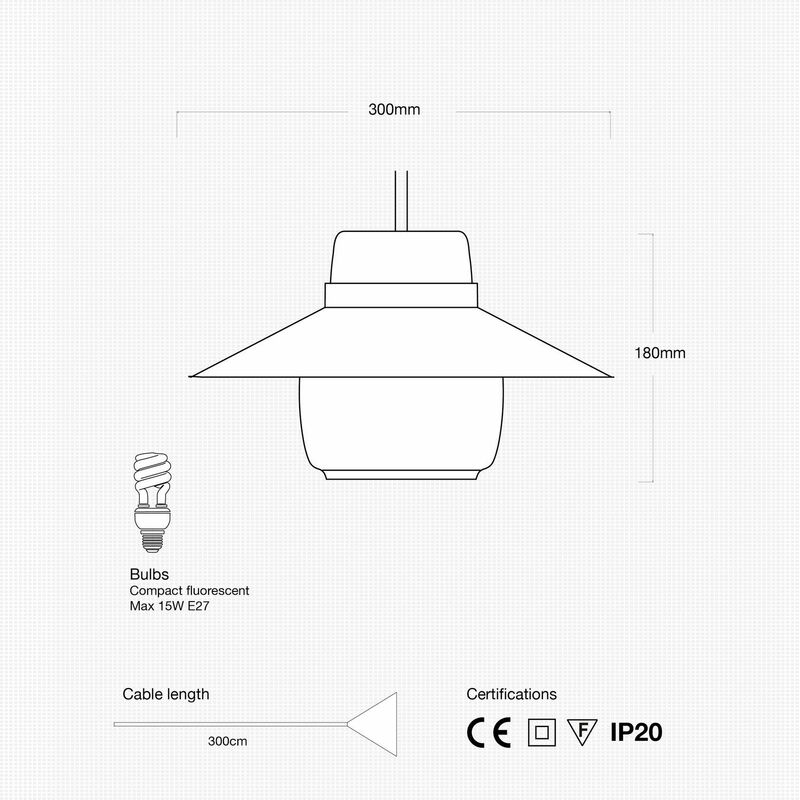 The lamp is designed so that the light source is never visible, meaning that it does not glare! One, two or three Lento lamps easily create an impression of flying saucers! As a matter of fact, it was inspired by the flying saucers shown in old comics and found as toys. 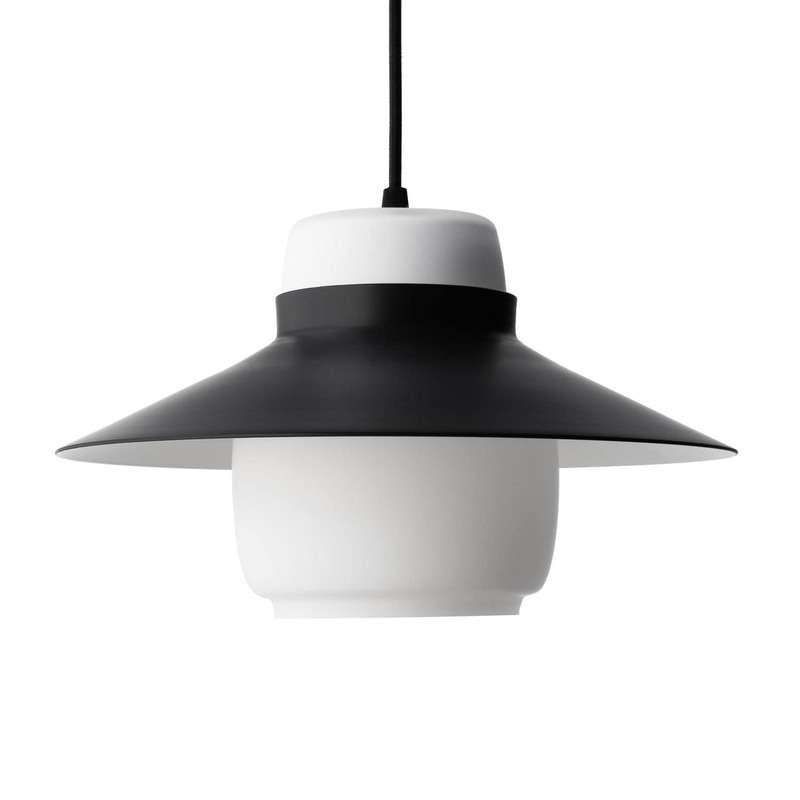 Because of its simple form language and the concept of a product family, Lento is a lamp that is strongly up to date and fits well with the Scandinavian style of interior decoration!